This table consists of a table top and straight metal legs. 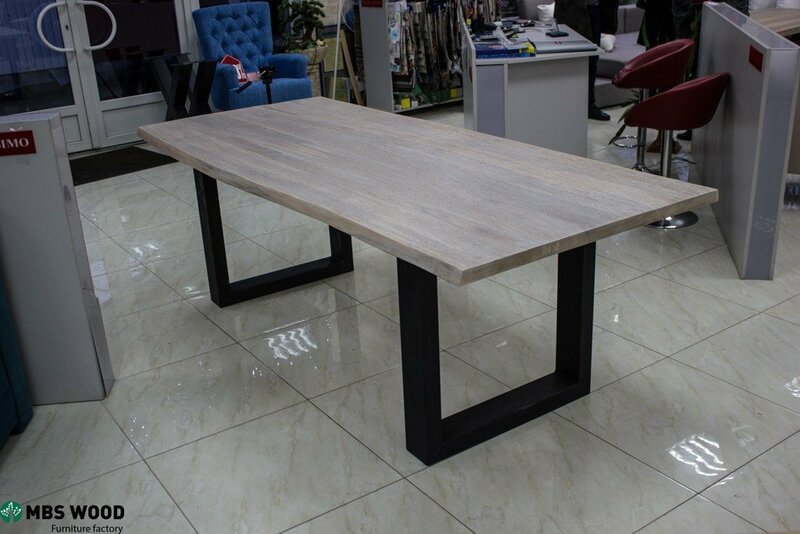 The table top is made of natural oak wood. The worktop has live edges and is painted white. 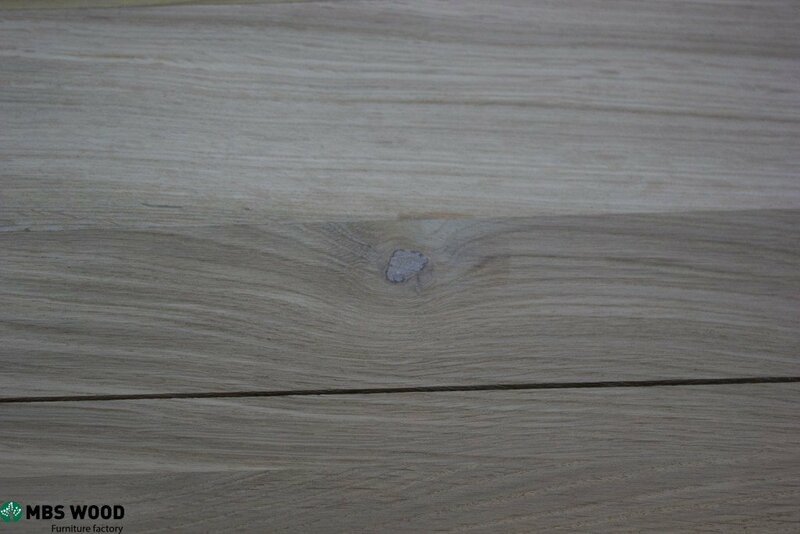 To paint this countertop, we use a white translucent oil – this makes it possible to show the texture of the wood. 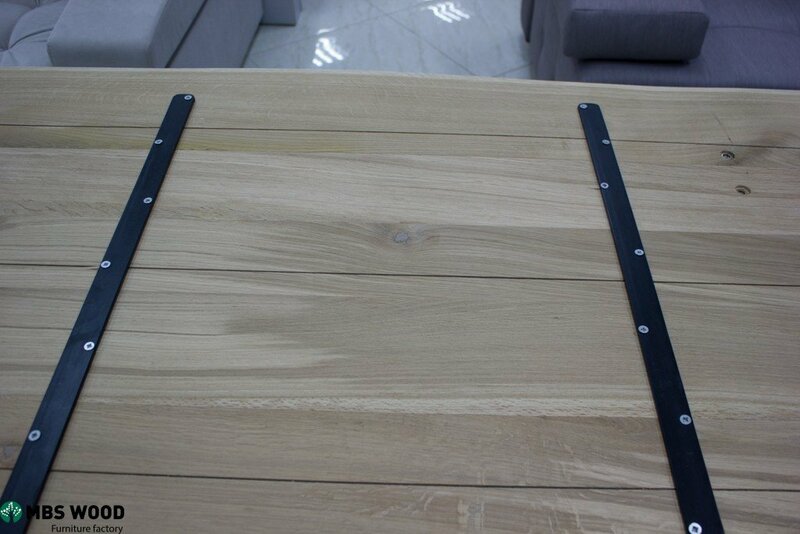 The lower part of the table top is covered with transparent oil. Metal legs are made from a profile pipe 60 * 120 mm., The wall thickness of the profile pipe is 3 mm. Metal legs to this table are painted with black matte paint. 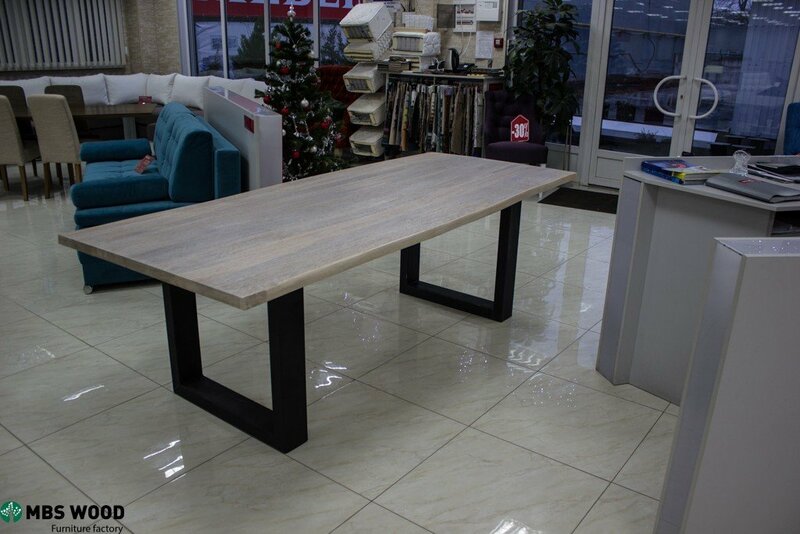 This table can have different sizes along the length, the maximum length of the table that we can offer is 3 meters, the width of the table is 1 meter. 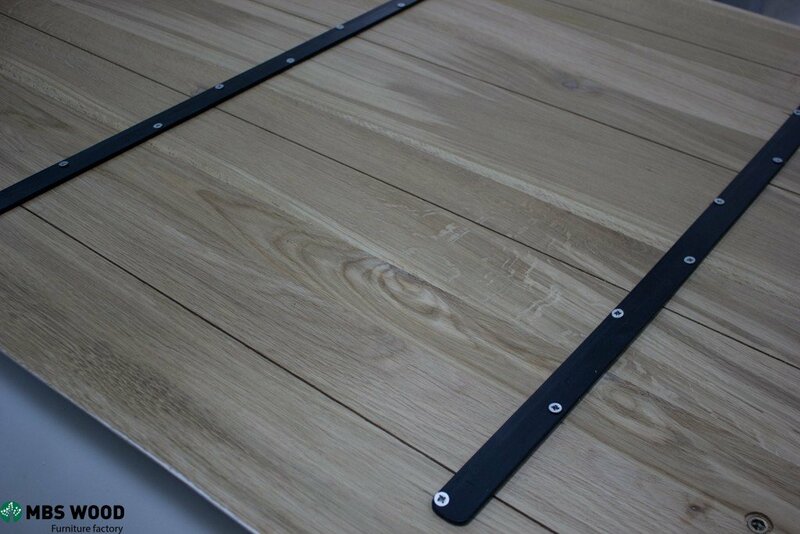 The thickness of the table top of this table is 40 mm. You can choose another color you want. 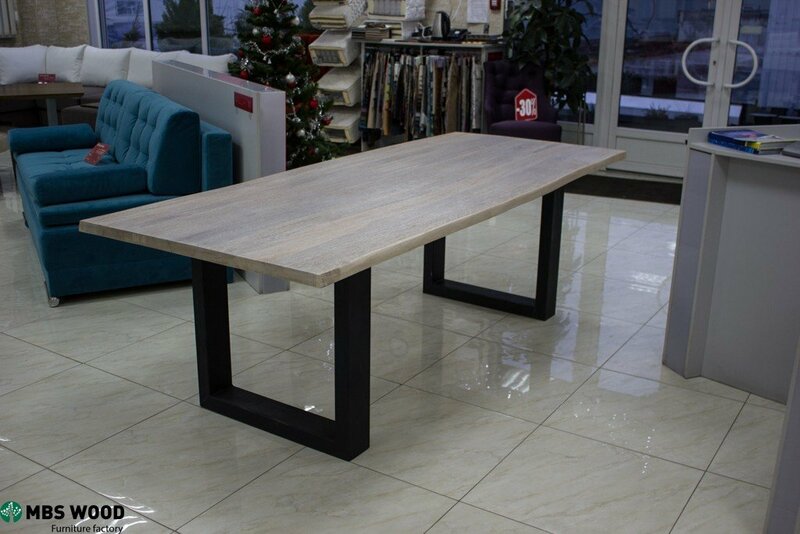 A table with a wooden table top and metal legs can be used in the house in the kitchen, in the restaurant or in the office. This table can not be used outdoors. We offer a quality product at a low price for wholesale buyers. The minimum lot for sending to Europe 5-10 tables. Each table is checked before shipping, all the details are packed in cardboard boxes, together with the table there is a set of fasteners. Assembly of the table takes up to 10 minutes.